Here are few reasons to choose us. Quality of Data – Most background screening companies receive their data from 1 data vendor per product and often times maintain integrations with 4 or 5 total vendors. VICTIG sustains integrations with over 80 different data vendors in addition to providing remote access to hundreds more. This provides superior data capitalizing on regional or niche competencies while maintaining efficient and cost effective order and retrieval. Features – The software that is utilized by VICTIG customers is the byproduct of input from over 200 other background screening companies. New innovative and original features are developed and deployed each week. Virtually every aspect is customizable to specific customer needs. Integration/Private Label – With a fully documented API or XML Gateway Guide, software or service companies with an existing customer base can easily be provided with an integrated screening solution. Turnaround Time – Efficiencies in working with superior, specialized vendors allows us to return results 24-72 hours quicker than other background screening companies. Cost – A lean operation taking advantage of software capabilities, technology, and creative staffing setup produces generous profit margins. Maintaining minimal overhead and streamlining processes provides a superior product and service for 20% less than the competition. Do a quality background check. 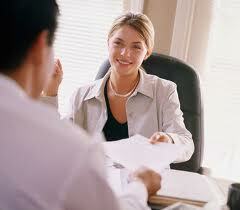 A thorough background check can help a company avoid negligent hiring. What employers may not realize is that relying on only one piece of information about a potential employee or using information that may be out of date can be as risky as not conducting a background check at all. See how technology can help. Talk with your background screening provider about ways to improve the screening process to save both money and time. Follow the letter of the law. As an employer, you have certain responsibilities under the law. Make sure that all background screening practices meet federal and state regulations as well as industry requirements. Stay in compliance with the new Equal Employment Opportunity Commission criminal guidelines and the Fair Credit Reporting Act. Your background screening provider can help. Be analytical. Consider the details of job responsibilities when screening candidates. Some key positions that require a high level of trust should be screened more aggressively. After about a year and a half, the case EEOC v. Kaplan Higher Learning Education Corporation (Case No. 1:10-CV-2882), has finally been decided. The United States District Court for the Northern District of Ohio dismissed claims that using credit reports as part of a hiring procedure created adverse impact on applicants, particularly African Americans. To summarize, Kaplan Higher Learning was seeking to a fill position within their financial aid department, responsible for several locations. The responsibilities of this position would require the handling of large sums of money. They decided to use a credit report to determine if the applicants were under a certain amount of financial pressure that might encourage theft. As the case presented lacked consensus on whether or not the expert’s testimony was reliable. In short, without sufficient data kept on the applicants, the court was not able to determine the validity of the EEOC’s claim. The EEOC did attempt to recreate the applicant pool used, in an attempt to prove discrimination against whole groups of applicants. However, without proper documentation of the results claimed, the case was dismissed. It is important to note that the court did not determine or rule whether or not credit reports have any kind of adverse impact on applicants. Keeping accurate and sufficient data from the beginning could have resolved this case early on. Using hard and fast data on a person’s monetary obligations could play a part in a financial institution’s decision to hire or not, but we all know these sort of judgments severely limit the pool of applicants and that credit reports do not always indicate a person’s true character.